New private hot tub: Save BIG on May dates: 3rd night DISCOUNTS (or free!)! Welcome to your ski chalet in Tahoe. May dates available for cheap. Prices just lowered. Ask for the month of May 3rd night discounts: 50-100% off. Does not include Memorial weekend. Other discounts possible like add an extra day for cheap!. Email me for bargain! My vrbo number is old: 6358 (now they are up to a million) and I was the original vrbo Tahoe City listing. They jumble the search results now but hey!, I have been serving up great accommodations for 20 years! I have a local property management company right in Tahoe City to service your needs. Look at my REAL reviews (I do not pay for reviews like others) and my great rates. No mortgage to pay for here; just the ongoing utils and fees. Become a repeat customer and reap the rewards. NEW HOT TUB! 34 Jets of pleasure. Big upgrade in kitchen-ware this year. Plus new dishwasher and cool sink faucet. ALSO NEW: The backyard is now enclosed with a fence and a gate. Let the kiddies run wild! Plus your chalet now has a Flat Screen TV's in every room downstairs including the kitchen. Plus 2 bedrooms! AND the new sofa is now a sleeper so it sleeps 10 in beds. Welcome to Your North Tahoe Chalet! This vacation chalet has four bedrooms, a large woodsy yard, and a deluxe HOT TUB. It has WIFI internet and lots of HD TVs with DVR for your use. Plus there is a gas BBQ right out back. It has new wood and carpet flooring AND a recently remodeled kitchen. Book now and enjoy the new digs! It has an ideal North Tahoe location: on the outskirts of Tahoe City, near the Lake Shore bike path, and 15 minutes to Squaw, Alpine Meadows, or Homewood Ski resorts. The turn off is a little ways past Granlibakken: closer to Tahoe City than Sunnyside. Each of the 4 bedroom has a queen bed with lots of bedding. There is an additional sofa bed in the living room. The chalet official sleeps 10 and 10 is maximum occupancy. There is a gas barbecue on the covered rear deck. It has a TV with DVR plus DVD in living room, a TV for the cook in the kitchen, and a TV+DVD in Master Bedroom and another TV_DVD in the lower bedroom. It has one bedroom down (plus the sofa sleeper) and three bedrooms up. It has a well supplied kitchen, comfy furniture, and central heating. It has a wood burning stove and that classic mountain chalet feel. It boasts a big yard in a quiet and heavily wooded area. You can start your nature hikes right from the back door, as an extensive trail system starts about 100 yards away. Plus there is the paved Tahoe Bike trail around the lake AND the TART transit station 1 mile away!! TUB-AGE: And how about that TUB: An incredible 34 jet pleasure zone featuring independent dual pumps and auto-oscillating massage back jets. Melt away those sore muscles under the serenity of the tall evergreens gracing the backyard. Come on up! Tahoe has a season for everyone. And activities for every season. Winter, Spring, Summer, or Fall, your chalet has it all! Fast WIFI internet thru the cable company. Stereo in living room and in kitchen. We have owned this Tahoe Chalet since 2000. We employ a top notch local property management company and cleaning service. We have hosted 100's of satisfied vacation rental customers in our rental units. We follow a straight-forward quote with full disclosure booking procedure that is largely all done in email. No surprises here. Our goal is 100% satisfaction. We are an active family that loves board sports of all kinds, skiing, hiking and biking. Our 15 year old son has been skiing since he was 4 years old and snow boarding since 6. He also surfs and boards. He is a chip off the old block. His father is a natural athlete and who says that Tahoe is his favorite place on earth. Mom skis and boards too but likes creature comforts like eating and shopping in Tahoe City. 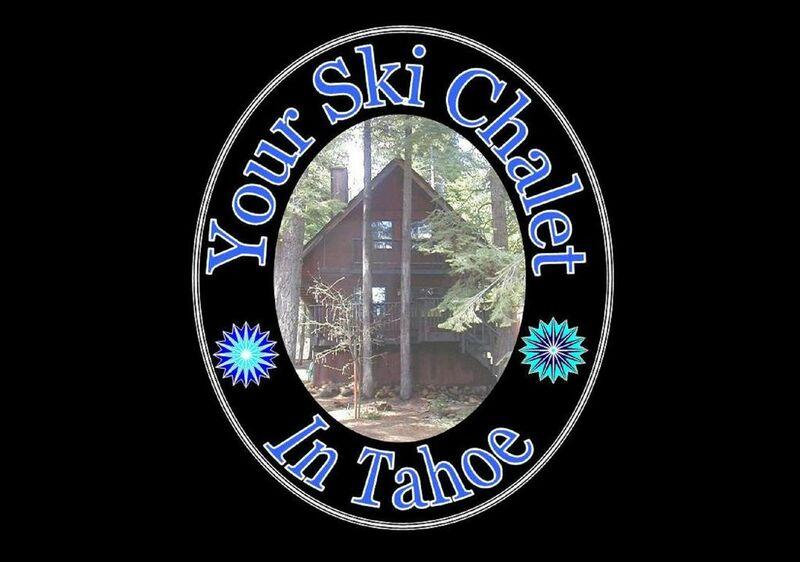 We have owned here since 2000 and we love this location because its mid way between Homewood, Alpine and Squaw ski resorts. Plus its only a mile from down town Tahoe City and close to the bike trail. Furthermore its close to where the hiking trail system goes up into the mountains and even to Paige Meadows. Location wise its about 15 minutes to 3 ski resorts and only a mile to town (Tahoe City). It is only a few streets off HWY 89 so it gets plowed early and thus it does not have steep roads. The downstairs including the kitchen have recently been renovated. See the pix. We listen to our customers and try to make an improvement every year. There is one bedroom down and three up. Thus the lower bedroom can be used for those less able to handle stairs. It has a beautiful low-key neighborhood with gorgeous trees that you can appreciate from the hot tub. The back yard is large and private and the hot tub sits under a roof on the back deck. Parking is no problem with space for 4+ cars. BBQ always ready. We employ a top notch local property management company and cleaning service. We have hosted 100's of satisfied vacation rental customers in our rental units. We follow a straight-forward quote with a full disclosure booking procedure that is largely all done in email. NO surprises here. Our goal is 100% satisfaction. Come on up and relax! In summer parking for 5+ cars. In winter it may be less depending on amount of snow. Fast internet thru the cable company. Usually basic cooking spices are there. I dare you to find something missing! Recent remodel. Nice gas stove. Recessed lighting. Nice touches for cook. Stove hood with fan. Dining table has 6 chairs plus extra chairs are always available. HIGH SPEED INTERNET, Big wood burning stove, Central heating, 4 TV's, DVD's, DVR, HD TV, Stereo with CD Player, Gas Grill outside, Full and Complete Kitchen with gas stove, No dogs please, No Smoking please. Sleeps 10 and 10 max occupancy.